Aged 67, 7 years training oss! I started my Gracie Barra journey in September 2014. I walked into the gym very apprehensively. I was a very heavy guy. I was 30st and 10lb in 2014. I thought I didn’t really belong or had the right to go there as I was very unfit and not used to exercising. I would walk up one set of stairs and be out of breath. I could hardly run the length of myself. Brazilian Jiu-Jitsu was always something that I wanted to take part in but always had the mindset of “I need to be fit to do this”. How wrong I was. Taking part in BJJ GETS you fit. As soon as I had my first few classes, I was hooked. All I could think about was when could I get back into the gym and “what techniques are we going to be learning this week?”. I love the rolling aspect of Jiu-Jitsu as I like testing myself with other people and seeing my strengths and weaknesses. I became a Jiu-Jitsu addict. After my first class I had signed up for a membership and would talk to anyone who would listen to me about Gracie Barra and Jiu-Jitsu. Slowly but surely, I started to get into the swing of things and I attended a seminar with Lucio “Lagarto” Rodrigues and received my first stripe on my white belt. And this may sound cheesy but it was one of the proudest moments I’ve had. The seminar was fantastic and what made the biggest impression on me that day moreso than his techniques, were his words. Very inspirational and motivating. I work shifts which is unfortunate as I can’t have a set pattern for Jiu-Jitsu. Luckily, the schedule is really wide with Gracie Barra so I can pretty much work it around my shifts. Recently, I also started taking P.T. sessions with coach Graeme and I’m now hooked on those too. Coach Graeme pushes me to my limits, we practice technique and we have a good laugh whilst doing so. It’s that kind of attitude and those kind of moments that really keep you interested in Jiu-Jitsu, in my opinion. nd in the process of doing so, I have made a lot of really great friends and met some fantastic people. I even have people asking me about it after seeing my results. Blue belt under Professor Ricky Gillon at Gracie Barra Glasgow. My journey in BJJ started on Wednesday 26th March 2014 which is a date that will stay with me forever as this was the moment I feel I was re-born. On that day I walked into Gracie Barra Glasgow standing 5 feet 4 inches tall and weighing 127kg. I was very unfit and very unhealthy. Just before I had been to the doctors and had blood tests done and was advised that I was borderline type 2 diabetic and also suffering from chronic anxiety and if I didn’t change my unhealthy lifestyle that my health was at serious risk. I had been friends with my Professor Ricky Gillon on Facebook for about a year before I joined and had been following the progress of his gym and his students. I contacted him one day and said I was interested in coming to the gym to train and he invited me to come in and chat with him. I went in on Monday 24th March 2014 and chatted with him and explained that my fitness levels were non-existent and I would only be able to commit myself to about 2 classes per week. On chatting to Ricky he explained all about the etiquette of the gym and the history surrounding his gym and Gracie Barra. Ricky also explained that I could take the classes at my own pace and my fitness levels would improve by continuing to come to classes so I agreed to come in on the Wednesday for a free class. The Wednesday class for me felt like one of the hardest things I had done in my life as I struggled due to my fitness levels but I managed to get through the class and signed up for a membership straight away. After 2 weeks I did get a feeling that maybe BJJ wasn’t for me and I considered quitting and I didn’t go back for about 2 weeks. Something made me pull myself together and get myself back to the gym. After 6 months I got my 3rd tab on my white and at that time I worked in a bank. I spoke to my work changing some of my shifts so as to allow me to attend the advanced classes. They declined this so I decided to quit as I now saw BJJ as no longer a hobby but a lifestyle and one that I wanted to commit myself to and I wasn’t going to let anything stop me from my passion. It has now been over a year and I have went from 127kg to 96kg, my fitness levels are better. The type diabetes that the doctor tested me for is gone and my health is no longer at risk and I feel like a new man. My diet has also changed from fatty foods to a combination of juice plus shakes, salad and chicken. I also entered my first tournament back in November 2014 which was at the BJJ 24/7 Liverpool Open. Although I felt I did not perform as well as I could have I still managed to win gold in the GI in my weight division, silver in the no-gi and bronze in the absolute. This was a great feeling as at the start of 2014 it was something I could never have imagined. I have also recently won double gold at the Scottish Open and double bronze at the Manchester Open. I now attend the gym every day of the week to the fundamental classes, the advanced classes and the black belt classes with my 17 year old son who has the same passion we all share for BJJ except a Sunday when I take my daughter to the Future Champions class at the gym. I received my blue belt on the 28th January 2015 and it was one of the greatest achievements in my life. The other students and coaches in the gym have been very supportive and pushed and encouraged me every step of my journey and it has been an honour and a privilege for me to be a part of this gym and the Gracie Barra Glasgow family. Professor Ricky explained to me on day one that he could change my fitness and if I chose to compete that he would make me a champion. Everything the professor told me would happen has happened and for this I am truly grateful. As I said Wednesday 26th March 2014 was the day I was re-born. I owe everything to my professor Ricky Gillon as he saved my life and Gracie Barra and BJJ gave me a new one. Jiu Jitsu saved my life and my journey continues. It is beneficial to have one-on-one time with your instructor. Brazilian Jiu-Jitsu is like any other sport or activity: your progress is a consequence of how hard and how smart you work. Group classes are the best proven way to teach Jiu-Jitsu, since the diversity of training partners creates more and different challenges allowing a student to improve more quickly. However, private classes are definitely an essential complement that no serious Jiu-Jitsu student should do without. The individual attention and approach that a 30- or 60-minute session with one of our instructors provides can and does lead to significant improvement in a student’s Jiu-Jitsu game. It is highly recommended that all students take at least one private lesson per month to review techniques and address specific challenges in his or her BJJ game. Book a lesson NOW ! Given the time of year, I feel it is a good chance to talk about the benefits of goal setting. A new year is a good chance to take a new approach when it comes to training and even the way you look at your day to day lives. This time last year, I was very on and off with my training and spending more time out partying to making excuses not to train than I was spending on the mat. I wanted a fresh start for 2012 and wanted to focus on the thing that I tend to think about most whether that’s lying in bed at night, in the shower or when I’m supposed to be working; Brazilian Jiu Jitsu. At the turn of the year, I sat down and thought about realistic goals that I wanted to achieve over the next 12 months (both in my private life and in Jiu Jitsu). I strongly recommend giving it a try. Think about what you want out of life or in training, write it down either on a piece of paper or as a reminder in your phone and be sure to read it every day. Having something written down that you can physically see will give you that extra motivation and drive you need to achieve it. The goals you set are completely up to you. You can even set “mini-goals” like training a minimum of 3 times a week, for example. Just make sure the goals you set are realistic and achievable. Visualisation is also a valuable tool and I think it goes hand in hand with goal setting. Chasing that illustrious blue belt or a medal at a specific tournament? Why not get a picture of it and stick it on your bathroom mirror so you see it every day when you’re brushing your teeth? You could also set the picture as the screensaver on your phone. I am very happy with the year I’ve had. I set goals and accomplished most of them. The goal I am most happy about achieving is definitely receiving my blue belt. I was awarded my blue belt from Lagarto and Ricky exactly one year to the day of the first time I got my GB attendance card marked and I couldn’t have been happier. I thoroughly believe that goal setting and of course the support and guidance of my coaches and team mates was the main reason behind my growth as a Jiu Jitsu practitioner and also as a person this year. I look forward to setting new goals for 2013 and achieving them side by side with my Gracie Barra family. Onwards and upwards boys. Let’s smash it. Ossss! This statement couldn’t be closer to the truth if it tried. I recently moved to Glasgow for University and have been interested in doing Brazilian Jiu Jitsu for quite a while, but unfortunately there aren’t any facilities available back home – so when I moved through I jumped at the opportunity to train at Gracie Barra. Since then I have been completely consumed with the art form, and the way of life. I’m constantly thinking and talking Jiu Jitsu and it drives my girlfriend crazy! I’ve never been the kind of person to enjoy working out but the beauty of BJJ is that you get results without realising it. I’m not a large guy and I was shocked when I realised that I had lost 1stone since I started. I think it’s due to a BJJ influenced change of diet and all of the classes I attend. Although I hate working out, I’ve actually started to do a kettle bell work out 3 times a week, not to get ripped but for the sole purpose of trying to improve at Jiu Jitsu. However, Jiu Jitsu has changed my life in other ways apart from my health and fitness. The reasoning and problem solving you develop is incredible. What I think is a pretty unique thing to Jiu Jitsu is that unlike Boxing, Muay Thai and other combat based sports, people don’t tend to get paid in Jiu Jitsu until they reach the highest of levels. Hypothetically I could train Muay Thai for 8 months and then enter a fight and get paid to do it, however in Jiu Jitsu YOU have to pay to compete. It’s all about self-development and proving something to yourself, without additional influencing factors such as ‘how much you will be paid’. As a white belt with one only one tab, I am very much aware that my knowledge of techniques is very limited. However I am aware of the ones I know and what I don’t know. So when I am faced with the opponent of a similar level, or someone of a higher level you can instantly begin to assess what you’re going to have to do in order to essentially ‘survive’ against this person. When facing another person from your academy around the same level as yourself, you know that they have been taught exactly the same things that you have, which instantly begins a game of back and forth attempts to see who can be the first one to sweep the other. They know I’m going to try a sit up sweep, or a scissor sweep. They know how I’m going to break the guard or how my transition to mount is going to be carried out so they are already preparing to defend it. This is why you have to begin to try and outwit your opponent by using the same techniques, except trying to surprise your opposition by throwing them off guard and successfully landing your intended technique. When faced with an opponent of a higher grade that yourself, you must respect that they are probably more knowledgeable than you are and that they are very much aware of what techniques you are going to try. This is why you must try and mix your game up a little. For example, if I’m playing guard, I really doubt that I’m going to be able to sweep them with my limited techniques, so instead of laying in guard and waiting to be passed, why not open my guard and try a transition to Spider guard? By mixing it up a little, you can begin to develop your own style while trying to help develop your opponent’s abilities of passing spider guard as opposed to lying in guard like a chump. Realistically, you aren’t going to win this fight, so why not reflect on your roll and take away knowledge from it? People say that the first thing to that gets hurt when doing Jiu Jitsu is the ego. It is this analytical thinking that you can begin to start using on a day to day basis – for example, in my studies I am encountering many patients within a hospital environment and by breaking down the symptoms (you’re opponent) of your patient and applying analytical thinking (your tactics or knowledge), you start to realise that you are indeed very capable of diagnosing the problems and being able to continue with your laid out plans or alternatively down a different route if plan A doesn’t work. That is only a mere example of how Jiu Jitsu can help in your day to day life, it doesn’t matter if you’re working in a bank, a hospital or a grocery store everyday in your life you will encounter a problem based scenario that you must solve. The brilliant thing about Jiu Jitsu is that they have the tabbing system which works not only as a trophy of self progression, but as a device to keep you interested in pursuing that next tab and that next belt, all while improving your health, fitness and abilities in the sport. While I’m only sitting on my first tab, I already know that I don’t plan on tapping out of Jiu Jitsu any time soon! The benefits of Gracie Barra Brazilian Jiu Jitsu are far reaching and will touch every aspect of your life. At Gracie Barra, our students become leaders. Gracie Barra nurtures your independent thinking, supports your fighting spirit, and helps you achieve your personal BJJ goals. Through GB BJJ, you will begin to understand yourself, on and off the mats, in ways you never imagined. You will test your limits and become the best you can be. GB respects that each student has their own goals and we support you in reaching them. The more you train, the better you will become and the more completely you will reach your true potential in life. GB BJJ is for anyone who wants to learn how to defend him or herself in combat. What most people don’t know, is that GB BJJ will also allow you to apply those same principles to fighting the daily battles of life, like weight loss, stress, relationship issues, and self-confidence. You will learn how to think through problems more constructively than before, on and off the mats. At GB, you are a part of an extended family. You will join a team that will support you in your quest for self-improvement. Training the techniques and participating in live training sessions, with your partners and coaches, will give you an arsenal of weapons at your disposal whenever you should need them. The more you train, the more you will arm yourself with knowledge and skills to fight all your battles in life like a black belt. 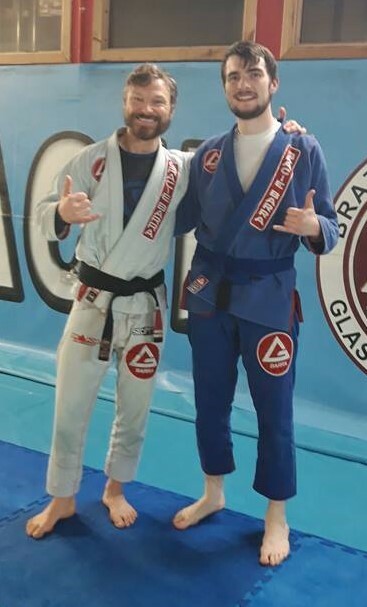 I first came into the Gracie Barra Glasgow School to try and get a bit fitter and to learn a martial art, The gym is filled with great equipment, The coaching is by far the best in all of scotland, when training with head coach Ricky Gillon you get a real sense that the thing that matters the most to him is that you improve. I would recommend the gym to anyone I know, there’s a real feeling of family you won’t find in any other gym. 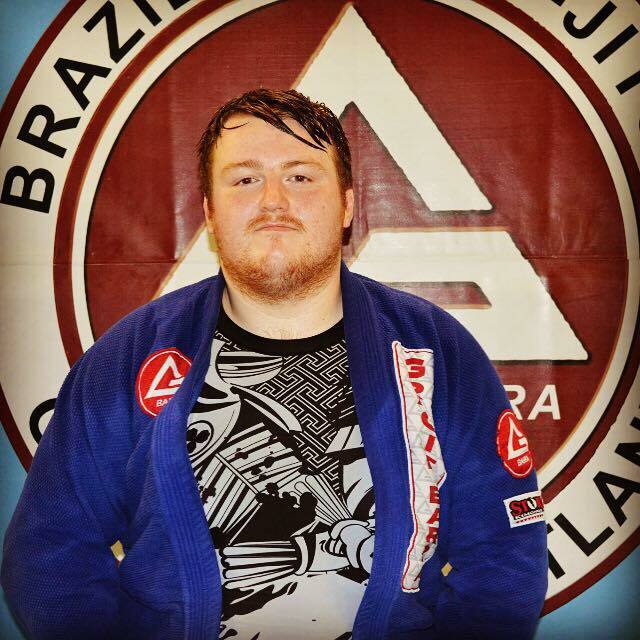 “I have been training at gracie barra glasgow now for a good few weeks and it has been the best desicion i have made,I have been to a few mma type gyms in the past but nothing i have ever done has been so organised and professional as this.I was kind of put off in the past but i said i would give it another go and was told about this place,The instructor ricky gillon makes you feel very welcome and all the guys who train here are all great no egos that i had encountered in the past just friendly people who let you join in.I also tried the conditioning class and can i say it was one of the hardest sessions i have ever had i was breathing out my arse haha,i would recommend this gym to anyone who is looking to get great instruction and train with a friendly bunch of guys. “I have been training at Gracie Barra glasgow now for a good few weeks and it has been the best decision I have made, I have been to a few mma type gyms in the past but nothing i have ever done has been so organised and professional as this. I was kind of put off in the past but i said i would give it another go and was told about this place,The instructor ricky gillon makes you feel very welcome and all the guys who train here are all great no egos that i had encountered in the past just friendly people who let you join in.I also tried the conditioning class and can i say it was one of the hardest sessions i have ever had i was breathing out my arse haha,i would recommend this gym to anyone who is looking to get great instruction and train with a friendly bunch of guys. At the start of 2012 I attended different Brazilian Jiu Jitsu to help and try advance my ground game. Yet I found little progress. I was getting ready to stop with the Brazilian Jiu Jitsu training but then I heard about Gracie Barra and I thought “I’ll give this another chance” and I attended Gracie Barra. The date was 05/03/12 and it was one of the best decisions that I made by attending and becoming a full member of the gym. I wanted more of the Brazilian Jiu Jitsu lifestyle and for a while I took up the Gracie Diet. Since then I have lost over 3 stone and have enjoyed the Brazilian Jiu Jitsu lifestyle even more. However I wasn’t just taken by the Brazilian Jiu Jitsu, I started attending the other classes that the gym had to offer. There was a great selection of different classes and I started attending Kickboxing, Muay Thai and Sambo on top of the Brazilian Jiu Jitsu. With all the fantastic training I have really felt advancement in my training. Since I began training I’ve gained three tabs on my Brazilian Jiu Jitsu belt. However that isn’t all I have gained, as I’ve also gained many friends since joining, however the people at the gym start to feel like family after you take in the Jiu Jitsu lifestyle. “Organised like a team, fighting like a family”, Ooosss! IS everyday a school day? 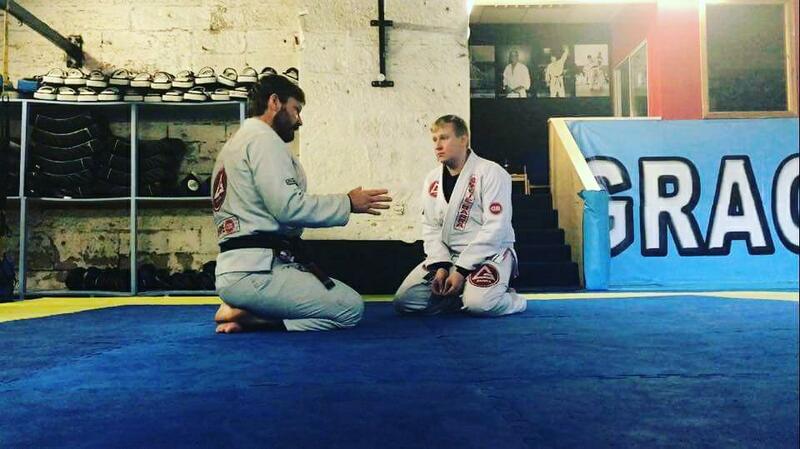 "I have been training with gracie barra scotland for about three years. I started with fitness training but became interested in the jiu jitsu through the fitness training. 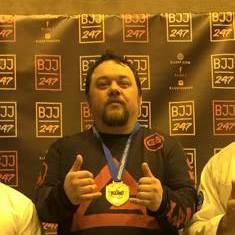 Since starting training here I have lost three stones in weight, become fitter than I ever thought I could be at the age of 46 and won a silver and bronze medal in jiu jitsu competition. I couldn't recommend this training enough."